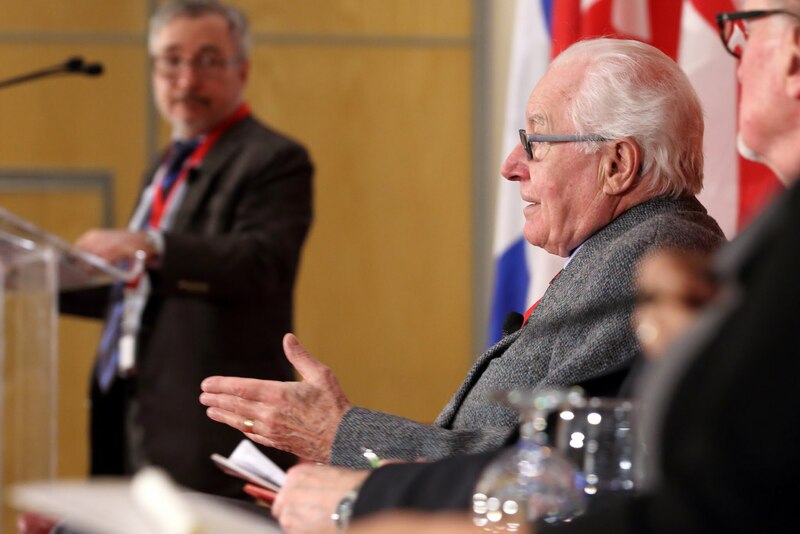 Max Segal was dispatched to the Canada on the Global Stage conference, where he followed Professor Philip Oxhorn and his panel discussion on Canadian foreign aid. This is the second of three parts of his experience at the event. To read part one, click here. Game day. The invitees are all wearing their Thursday best. Once the conference is inaugurated by McGill’s own Professor Straw, the force behind Canada on the Global Stage, Suzanne Fortier takes center stage. Her wishes struck a particular chord, a humble and graceful one. 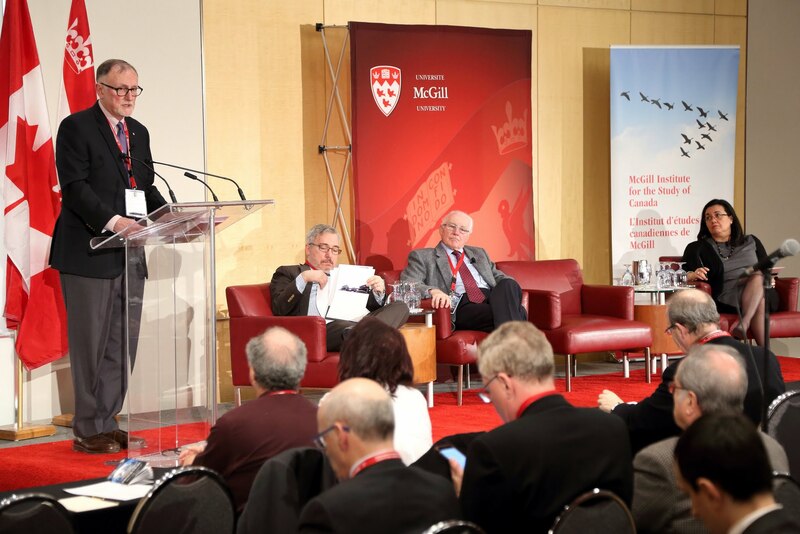 She imparted, if the McGill bigwigs cannot, by virtue of time, actively lead the demographic transition going on in the world, then at least they can prepare McGill students to become its captains. With that, a familiar face appeared behind the hotel podium: Dr. Philip Oxhorn. The man behind — or in front — of the conversation, Dr. Philip Oxhorn. I was weirdly at home in a sea of grandeur and importance. Having introduced the trio – Charles Bassett, Julia Sanchez, and Ian Smillie, Oxhorn launched at the hanging questions, as he is wont to do. The first question, as properly foreshadowed the day before, concerned the future of aid in a warping world. Refugees, global migrations, and changing paradigms of power all make the world seem complicated enough to understand, while fixing it seems even tougher. How to reconcile responsibility and reality? Mr. Bassett, a former diplomat and head of the Canadian mission to the IADB, was the first to swing at it. Ever the diplomat, sensing the tensing atmosphere, he begun by assuaging the crowd. “Don’t be cynics,” he chided. He continued with the nuanced belief that he understands the fear these changes induce in the public. His introductory proposal was to let aid be a determining factor of global change, not something that must dance to its tune. He affirmed that aid is one of the few policies governments can implement to be active within the smallest of communities. In addition, foreign aid was something that gave the reins to the affected people to produce change, as opposed to government-calculated policies. Mr. Charles Bassett presents his introductory response. The next person to tackle the set of questions was Ian Smillie, a stalwart of conflict-free diamonds who dedicated his whole life to the cause in his own NGOs and IGOs. His proposal was to be far more technical in his approach, offering a remittance-based (remittances are money transfers by a migrant to his family in his homeland) tactic in seeing how to combat development issues as carried by migrant workers. Geopolitics were not avoided in his response. 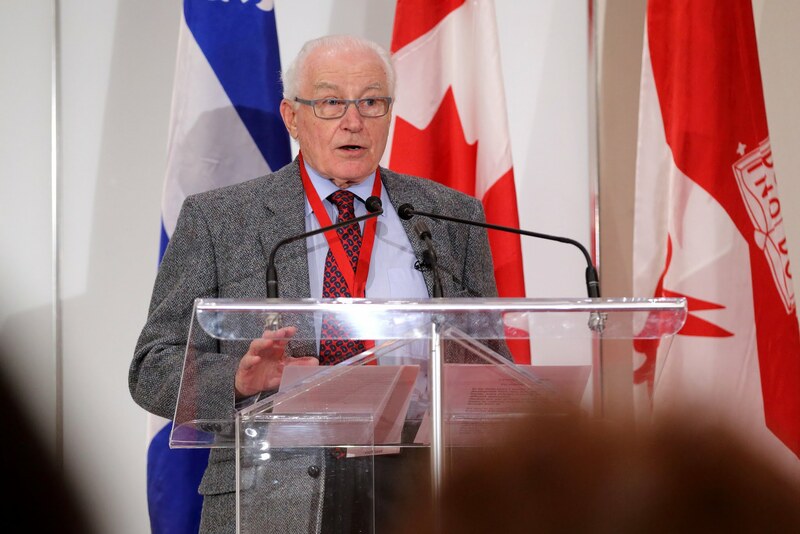 He asserted that Canada must work with the United Nations to guarantee the world a better life, yet retain and exercise the responsibility of rewarding well-behaved partners with aid. 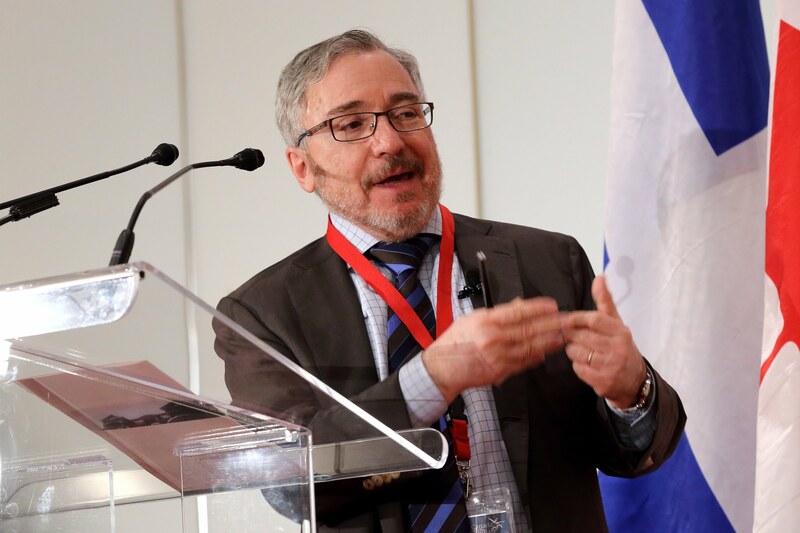 He lamented the disappearance of CIDA, Canada’s defunct aid agency, recalling to the audience that Canadian aid must be more organized into clusters. When pressured by Dr. Oxhorn on whether aid is an ideological instrument, Mr. Smillie reacted positively. Unarguably, the most nuanced response was given by Ms. Julia Sanchez, a former CIDA operative and current Canadian aid governmental advisor. She reminded us that CIDA was responsive to the United Nation’s Millennium Development Goals (MDGs) presciently and integrated these into its functions to seventeen criterion. This reform allowed for the most flexible and responsive aid distributions, regardless of what policies or objectives would be put before them. These criteria were what permitted Canada to balance between Harper’s ideology-fueled aid and traditional need-based Canadian aid. Thus, Ms. Sanchez said, it was smartest not to guide aid, but rather let it develop as an organic feature of the world responding to the most urgent problems morphing in the Global South. The motor of the discussion appeared to be the election of the Liberal Party to the government’s helm. With that, many questions arose in people’s minds – how will Trudeau change Canadian aid? Bassett’s responses were the ones that focused the most on the supremacy of humanitarian causes. His key message: build for sustainability, not for the budgetary checkmark. The politicization of aid, he argued, made Canada no worse than those who withhold resources for political purposes – the very guys we are trying to punish! If there was a truth I will carry with me from Mr. Bassett, it is that politics can be very myopic towards real people. This is alright when talking party economy or parliament debates, but when it comes to helping people around the globe, the politics must be stripped from aid. Will this be the future of Canadian aid? Probably not. 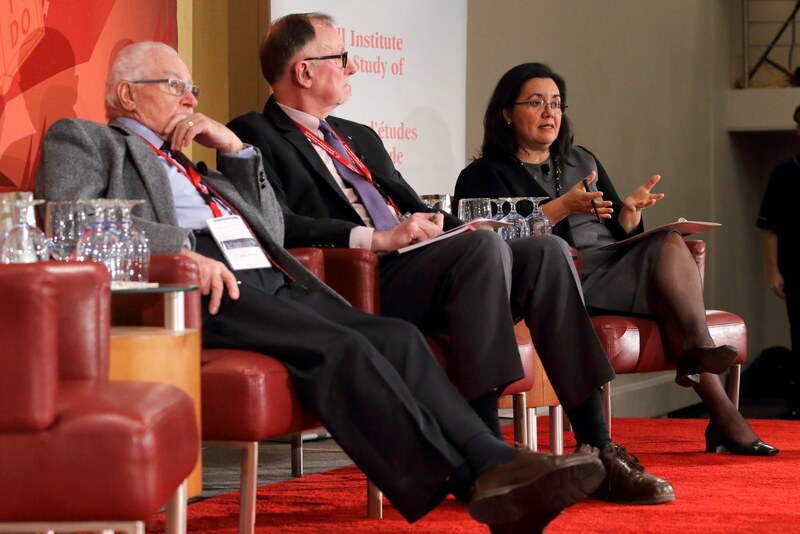 Would it be a great future for Canadian aid? “For sure,” as Mr. Bassett would chuckle. The words of Mr. Smillie were less predictive and more prescriptive. He based his responses on the deep belief that aid cannot solve all the problems in the world, thus it should stop playing a zero-sum game. Canadian aid, in his opinion, should focus more on structural adjustments and less on micromanaged practices. Here are a few powerful examples from his parables. It is important to help a parents find stable income rather than feed their children, just as it is more important to endow a country with good medical practices instead of curing every citizen of ebola. The smaller challenges are easier to measure and easier to obtain, but they do not produce as massive a change as structural advancements do. Pair that with the humanitarian focus of Mr. Bassett, quite a fine development policy, I would say. Ms. Sanchez offered a delicate approach to the question. She believes Mr. Trudeau’s modern-minded governance will see more engagement of NGOs and non-state actors, with the addition of trans-border civil society, to accomplish more development goals. This will happen with or without CIDA, she predicts. If there is a message that rang louder than others, it was her insistence that aid should not be implemented. Policy-based aid was a figment of geopolitics and politicized aid. She felt that aid should be considered in the small steps of which it is comprised. The bakery opened with development assistance, or the micro-loans given to rice farmers in paddies. That will be the true spirit of development reemerging, she promotes. Ms. Sanchez pulls some of the panel into active discussion — and others into active thought! A long day this has been. Has my impression of a global Canada changed? Doubtlessly. Reflection would naturally begin at the panel’s close, but I hear clanging and clinking outside. Coffee break has begun. And they have poppyseed muffins! Perhaps my digest, aided by Dr. Oxhorn, will happen another day.